Marvel Studios has released its Second Screen app so that fans can access brand-new content planned for the Blu-ray and DVD release of director Joss Whedon‘s superhero team-up film, The Avengers. Check out all the details and a look at the app below! Second Screen transforms the movie watching experience by allowing viewers to explore the story behind the film perfectly synched on a second device, like an iPad™ or laptop, without interrupting their enjoyment of the movie. By accessing the Second Screen companion application on their Internet-connected device, consumers are able to dive deeper into the film by engaging with key elements of the movie. Features: Enter the S.H.I.E.L.D. 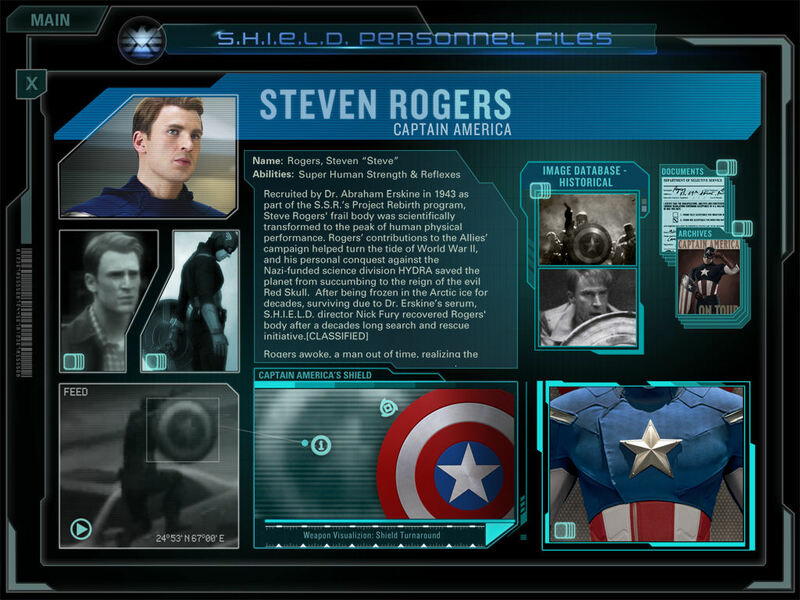 database on your second screen device accessing personnel files, comic book origins and exclusive interactive content with The Avengers Initiative: A Marvel Second Screen Experience. Become a S.H.I.E.L.D. agent and participate in the Item 47 Comic-Con experience either remotely or in the field. Examine the confidential files of the Avengers including heroes,agents and villains. Sync to the movie and explore exclusive behind-the-scenes interactive content such as visual effects labs where you can explore sequences layer by layer. Seamlessly link the characters, stories, and scenes of the movieback to their comic book origins through the interactive Marvel digital reader. View the major events of the Marvel Cinematic Universe – Phase 1 on the definitive timeline of all 6 movies.